F&W's Kristin Donnelly ignores Mornington Peninsula's gorgeous beaches as she hunts for elegant Pinot Noirs and Chardonnays. I 've been to Burgundy once, and I have to say, I wasn't impressed. Granted, I was only 20 and knew little about wine. But shouldn't a place known for producing some of the world's greatest bottles be grand, with sweeping vistas and magnificent châteaus? Instead, the sand-colored buildings in the town of Beaune were extra-drab, under thick gray skies that obscured the vineyard views. After a quick browse of some uninspiring tourist shops, my friend and I hopped an early train back to Paris. Ten years later, my wine-geek fiancé, Phil, and I are in Australia's gorgeous Mornington Peninsula, where the Pinot Noir and Chardonnay evoke comparisons to the Burgundy wines I've grown to love. Mornington Peninsula is a 30-mile-long finger of land an hour south of Melbourne. Water on three sides keeps the region cool, especially for Australia, making it ideal for Pinot Noir and leaner styles of Chardonnay (the two main grapes in Burgundy). Few of its wines come to the U.S., but that may change soon: Mornington Peninsula's profile is rising fast. Already there are 200-plus vineyards, most planted since the 1970s. I'm totally taken by the craggy, mossy cliffs jutting up against a pristine, azure sea. Could such a stunning place possibly make wines that approach Burgundy's great heights? I consider that question over dinner. Phil and I are at a winery called Ten Minutes by Tractor, so named because its vineyards are 10 minutes apart by (yes) tractor. At its restaurant, I tuck into chef Stuart Bell's French-inflected fooda wonderful mustard-brushed tuna with an eggplant relish reminiscent of ratatouillewhile Phil starts vigorously swirling the two Chardonnays in front of us. Then he starts sniffing in earnest. He takes a sip, slurping and gurgling as wine pros do, and swallows. He looks at me surprised and says, "In a blind tasting, I'd guess these were white Burgundy." I see what he means. In Burgundy, the whitesmost of which are 100 percent Chardonnaycan be lean and piercing or rich and luxurious, and the best ones will age for years and develop a rare complexity. The Mornington wines in front of us have that potential: The 2007 Wallis vineyard is spectacularly minerally, while the 2007 McCutcheon vineyard is softer and riper. Both have lively acidity and a mouth-filling texture that I associate with white Burgundy. We realize we're in serious wine country. Ten Minutes by Tractor is in the heavily wooded interior of the Peninsula. The next morning, we follow the hilly, twisty, gravelly roads to a beach, surrounded by a quiet neighborhood of cottages. (The landscape changes so rapidly that driving five miles feels like traversing a time zone.) The place is completely empty except for a man fishing with his Jack Russell terrier. I wish I could spend the whole day there learning how to fish, or maybe taking a quick ferry ride to Phillip Island, where diminutive blue fairy penguins nest every night at sunset. But I have to stay focused on the wine. A barely visible dirt road takes us to Moorooduc Estate, established in 1981 by Richard McIntyre (who also consults at Ten Minutes by Tractor) and his wife, Jill. 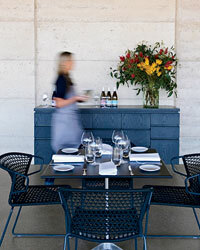 In 1999, the couple added the Estate's Gregory Burgessdesigned rammed-earth-and-exposed-timber building, which has a tower overlooking the vineyards. Clucking chickens greet me as I get out of the rental carI later learn that Jill uses their eggs, as well as vegetables from her garden, when she cooks lunches at the winery. Richard is a professorial man who started fermenting wines exclusively with wild yeasts in 1996 and is credited with being the first on the Peninsula to do so. His inspiration? Burgundy. "Burgundians believe wild yeast is an intrinsic part of terroir," he tells me. "What you trade in the fruit character of the wine when you ferment naturally, you gain in structure, texture and complexity." 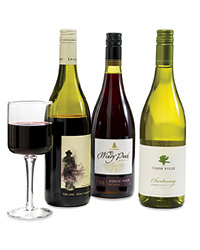 In other words, wines become less simple and fruity, a bit more interesting. McIntyre is so obsessed with natural fermentation that he bakes sourdough bread (leavened without the use of packaged yeast, of course) in his wood-burning oven. He sells the loaves in his tasting room, wrapped in sheaths that say "Wild Yeast." Burgundy is a touchstone for many of the producers I talk to. They're inspired by Burgundy's style of Pinot Noir and Chardonnay, one that's more savory than fruity and often built to age. They also admire Burgundy's commitment to terroira combination of climate, soil and topography that makes wine taste of the place where it's made. In fact, place is so important in Burgundy that village names, like Gevrey-Chambertin, or vineyard names, such as Le Musigny, are more prominent on labels than producers' names. Still, even a hard-core Burgundy fan will say that the winemaker definitely matters. 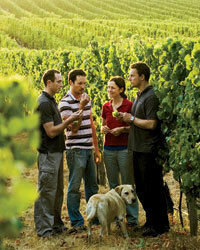 In the Mornington, winemakers often name-drop producers whose methods they emulate. Sandro Mosele, winemaker at Port Phillip Estate and Kooyong, uses a technique like one utilized at Domaine Leflaive, one of the great names in Burgundy's Puligny-Montrachet. 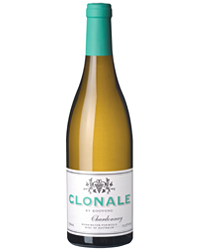 "Leflaive ages Chardonnays in-barrel, then moves them to the tank so they get more flinty," he says. "I do that too, because I want the richness from the wood as well as the focus." I see what he means as I taste through his stellar Kooyong Chardonnays. If his wines were visual, they would form a triangle: When you take a sip, they cover the palate and feel wide. Then they come together to form a perfect point just in time for the finish, which lasts for minutes. True to Burgundy style, Mosele ferments with wild yeasts. He also picks grapes before they get overly ripe to keep alcohol levels in check, which he believes is a key to making an elegant wine. "Anything over 13.5 percent just annoys me," he says, shaking his head. Tasting Mosele's Pinot Noirs is a great study in Mornington terroir. In 1996, he planted the vineyards for Kooyong in the region's sandy soils, creating exceptionally savory and minerally wines; I especially like the 2004 Kooyong Ferrous vineyard, with tealike aromas that show it's aging nicely. 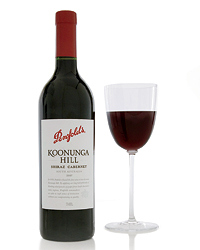 When the owner of Port Phillip Estate bought Kooyong, Mosele took over the Estate's vineyards, planting in the red volcanic clay. Even with the same winemaker, the Port Phillip wines are noticeably more fruit-forward and perfumed than the Kooyongs. Someone in an excellent position to compare Mornington's terroir to Burgundy's is William Downie. Once head winemaker for Australian producer De Bortoli, Downie now produces an inexpensive Pinot Noir for American importer Dan Philips (an F&W contributing editor) and has been making Pinot under his own label in the Peninsula since 2003. He has serious Burgundy cred: In 2004 and 2005, he was in charge at the prestigious Domaine Hubert Lignier. His goal, however, is not to imitate France. "I want to find what makes Australia different from everywhere else," he says. When I ask him what makes Mornington Pinots unique, he says that they have a distinctive cranberry flavor that's unusual for Pinot Noir. "It's a true terroir characteristic," he says. I don't know if a winemaker in Burgundy could have said it any better. Hopefully, I'll get back to France soon to find out. Top Mornington Peninsula Wine Imports to the U.S.